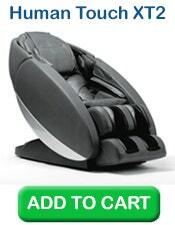 There are a lot of massage chairs that claim to provide the most luxurious massage experience. Two of them are the Human Touch Novo XT2 and the Inada Dreamwave. The XT2 boasts of having the best-in-class performance giving you the perfect way to supercharge your daily ritual while the Dreamwave claims to be the world's best massage chair. The XT2 uses a Flex 3D massage technology. You can receive the right amount of pressure through the five adjustable intensity settings, giving you a fully enveloping, therapeutic massage. The Dreamwave, on the other hand, has an undulating figure-8 motion that balances your body, delivering complete relaxation. Both also make use of body scanning technology. Specifically, the Dreamwave uses a patented technology called Shiatsu Point Locator that customizes the massage to your back profile. The Dreamwave has an S-Track system that follows the curvature of your back closely. However, the XT2 has both S and L track systems. The L-track extends the massage from your neck down to your glutes and thighs for a more comprehensive massage with optimal results. The XT2's striking unibody design uses a SofHyde synthetic leather cover in the colors black, red, gray, cream, and espresso. It’s space saving too. You only need to provide 2” between the wall and the chair for the latter to recline. 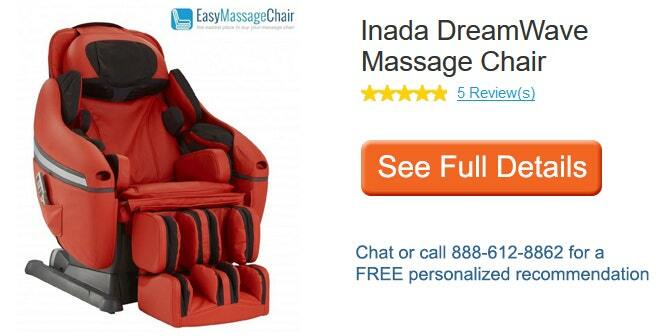 While the Inada Dreamwave is not space saving, it has an award-winning design that was created in cooperation with shiatsu massage experts. It also makes use of synthetic leather cover in dark brown, black, cream, and red or a top grain leather in TruBlack. This is one thing that the Dreamwave has that the Human Touch XT2 does not. It can give children a gentler massage experience engineered especially for them. 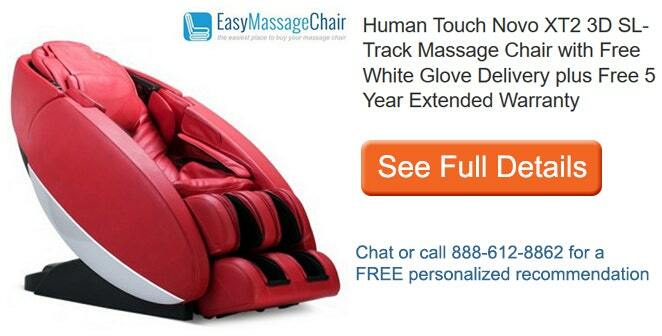 Both chairs have auto massage programs. However, the Dreamwave only has 16, including a Deep Relaxation setting, while the XT2 has 35 including full body immersion, deep tissue, and several recovery and relaxation programs. Both chairs also have manual massage programs. The XT2 has 6 manual modes with adjustable focus, width, and speed. The Dreamwave has 15 types but with over 1,000 possible combinations of manual settings. The XT2 provides an adjustable dual-lumbar heat therapy to help loosen tight muscles and relieve pain on your back. However, the Dreamwave has infrared heat therapy for both back and seat. The XT2 makes use of Cloud Touch acupressure to the arm, calf, foot, hand, hip and thigh, upper arm, and shoulder through a total of 36 airbags. On the other hand, the Dreamwave makes use of 100 airbags to massage the same body parts. Zero gravity setting is one of the main features that the XT2 has that the Dreamwave does not. The Dreamwave's maximum recline angle is only 170 degrees. Both chairs feature a full body stretch function that stretches you by bending the upper body of the chair backward, giving you the feeling of being stretched from head to toe. Stretching provides you leg and spine relief, increases your blood flow to the vertebrae and discs, and rejuvenates your lower back. While both chairs provide foot and calf massage, the XT2 has under-foot rollers with adjustable intensity plus an extendable leg rest that adjusts to your height automatically. The Dreamwave, in contrast, makes use of airbags and not rollers to provide acupressure massage to these areas. The Dreamwave makes use of a simple button style remote that is pre-programmed with the 16 auto programs and the manual sessions. However, the XT2 boasts of having an advanced tile remote with intuitive navigation control and crystal-clear LCD screen. 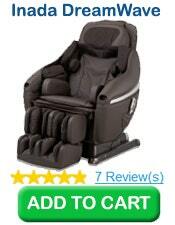 Plus, it has a downloadable app that you can use to control the chair. The XT2 has a built-in USB port and MP3 feature. You can charge your device, play music, watch videos or read an eBook. Aside from this, one of its main features is its Altec Lansing Premium Sound System with built-in Sound Soothe that plays immersive nature sounds as well as narrated demo walks of the chair's features and health benefits. The Dreamwave doesn't have any of these features but it does have a Smartphone pocket where you can store your device. To settle the debate on which massage chair is the most luxurious, it's safe to say that both the Human Touch Novo XT2 and the Inada Dreamwave have features that can give you total comfort and relaxation. Your choice is really just a matter of price and preference. The XT2 sells for $ 8,499.00 while the Dreamwave costs $ 8,999.00 both with FREE white glove delivery and 5 year warranty. Call us at 1-888-612-8862 when you've made your choice.